Racisy! That is going to be my answer to everything. Vague enough to throw at anything and harder to deflect than a concrete charge like “racist.” Girl won’t call you back? 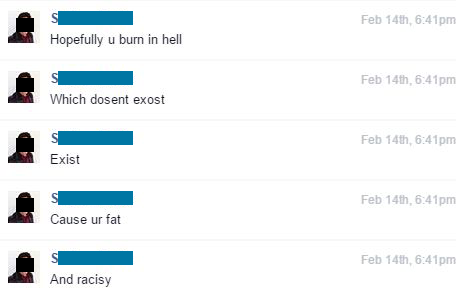 She’s racisy! Didn’t get the promotion? Boss is racisy! That is my default response from now on. Posted on April 6, 2015, in ...The Hell Is This?, Fun Stuff, Life and tagged ...the hell?, fun stuff, life. Bookmark the permalink. 2 Comments. That’s pretty funny. Also funny is the way these folks have a need to hate those who disagree with them. Yeah, disagreement can’t be just a, y’know, disagreement. It has to be an assault on them personally and on Reason itself, and even considering anything the other side says is to risk spontaneously combusting.